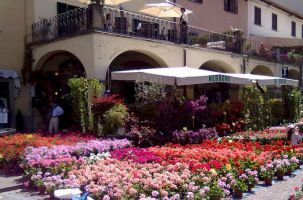 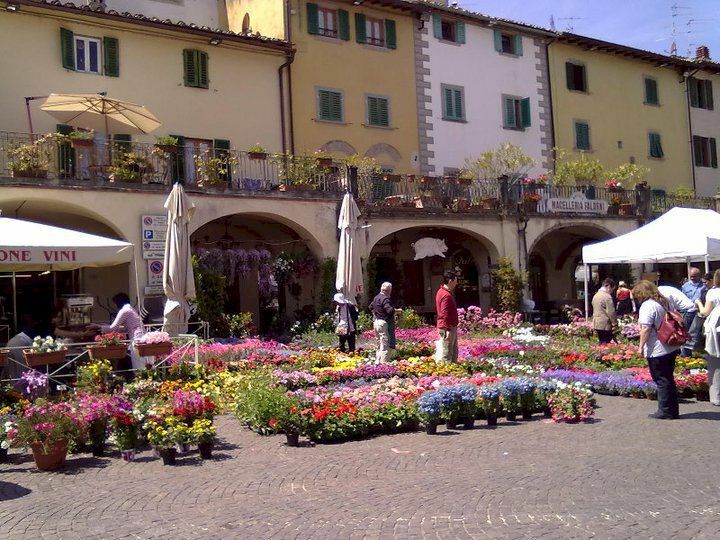 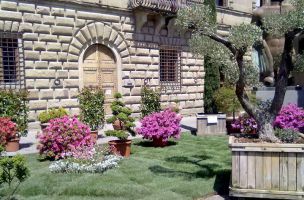 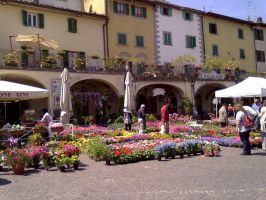 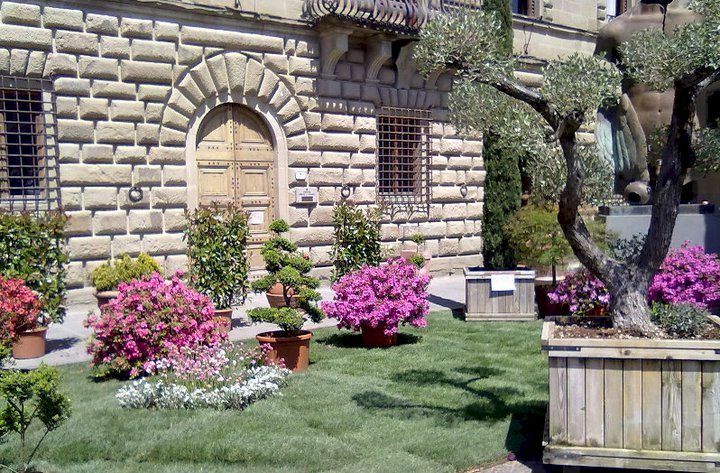 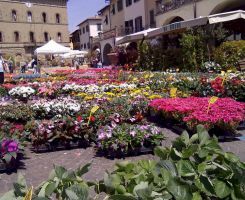 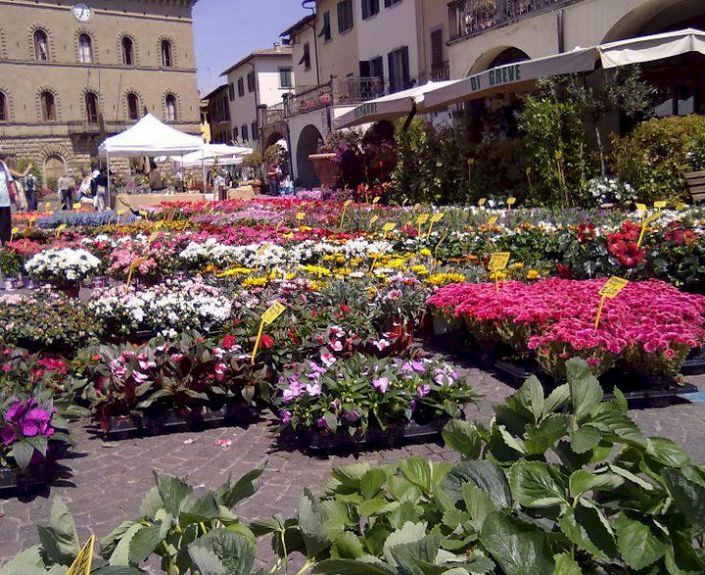 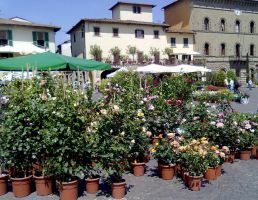 Every year, early in May, usually during the first weekend after 1 May, Piazza Matteotti of Greve in Chianti is transformed from an asphalt desert into a sea of greenery and flowers during the annual Festa dei Fiori. 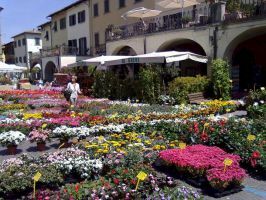 This occasion is, in fact, a flowering plant, herb and shrub sale at which the local inhabitants stock up on plants for their gardens and flowerpots. 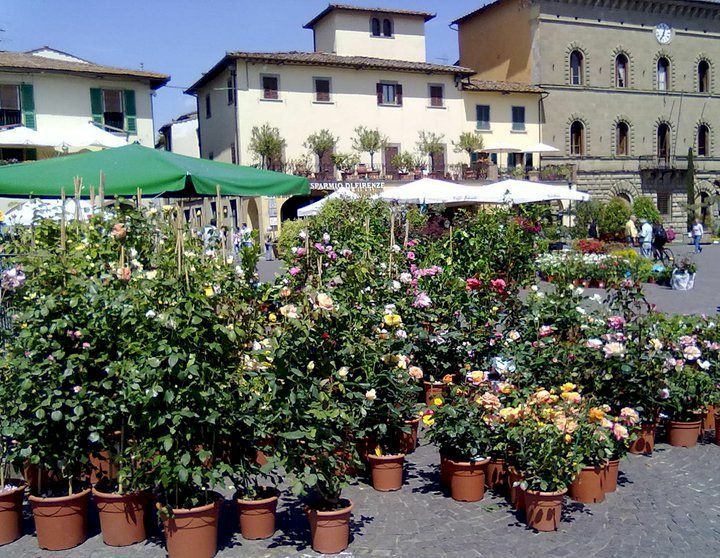 The transformation of the piazza provides an astonishing sensation and allows visitors to experience, at a mico level, what a world not dominated by the motor car could be like.